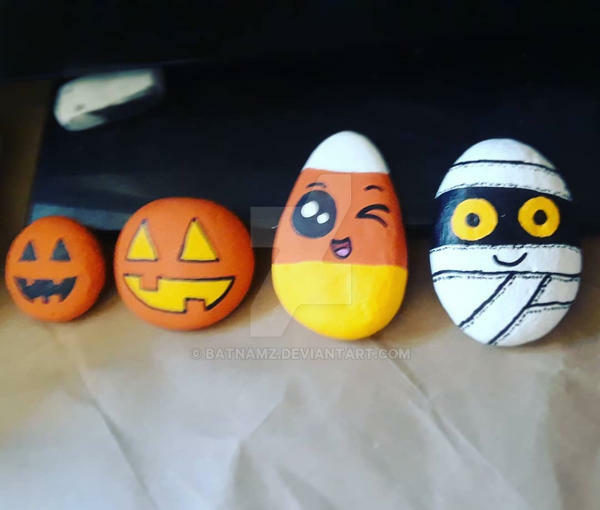 even more rocks i painted for the Halloween batch. This was before clear coating. ... all were hidden and found. ... my candy corn was re hidden in grants pass by someone! lol!